Each module is a month long experience of Tantra community and practice in an immersive form. The curriculum evolves to support you on a natural journey from taking personal responsibility in this life as a gateway to power and then from power into ease full connection to your higher self to access your clear aligned path and purpose, then finally to learn and practice the tools and mechanics with which to share that purpose with the world. Between each module there will be homework, mentoring and support. We look forward to welcoming you to our teaching circle. To hold a Tantric space, be it a class, workshop or private healing session is to hold a space for vulnerability. To hold space for the vulnerable, we need to be in our own power. To be in our power, we need to take fundamental responsibility for our lives. This month we learn and use tantric tools and processes to come into empowered responsibility for our sovereign self, so we may call in the life and love we are yearning for with ease. After spending some time on the tantric path through Level I or other practices, those who are called to come into clarity with their purpose will often be overwhelmed with desire and confusion. Desire to share their tantric gifts and confusion in just how this sharing is to look. Once we have broken the chains of our personal history, patterning and freed ourselves from wounds and limiting beliefs in Level I, we are now beginning to tap into our subtle body. We are ready to receive clarity on our aligned purpose through direct transmission from our higher self. While the patterns and expectation are in place even our purpose is filtered through fear and desire. In level II we are ready to stop seeking and to listen. In Level I we use the tantric arts to break the bonds of old patterns, limiting beliefs and wounds. From this place of freedom and spaciousness, in Level 2 we connect to our higher self for a clear and direct transmission of our aligned purpose. In Level 3 we distill this purpose into a clear why and learn the building blocks of how to take effective action and share our unique expression of tantric gifts with the world. Leading a class, workshop or private session is more than just imparting knowledge. There is an artistry behind how and why we share which shows up in the subtle places, such as how we set the space, are our transitions seamless, is our language inviting the listener to their own experience or are we bringing them into ours. This month is spent distilling our passion and purpose into clear and digestible forms, then learning how to most effectively structure your offering, be it a class, group meeting, workshop or session. 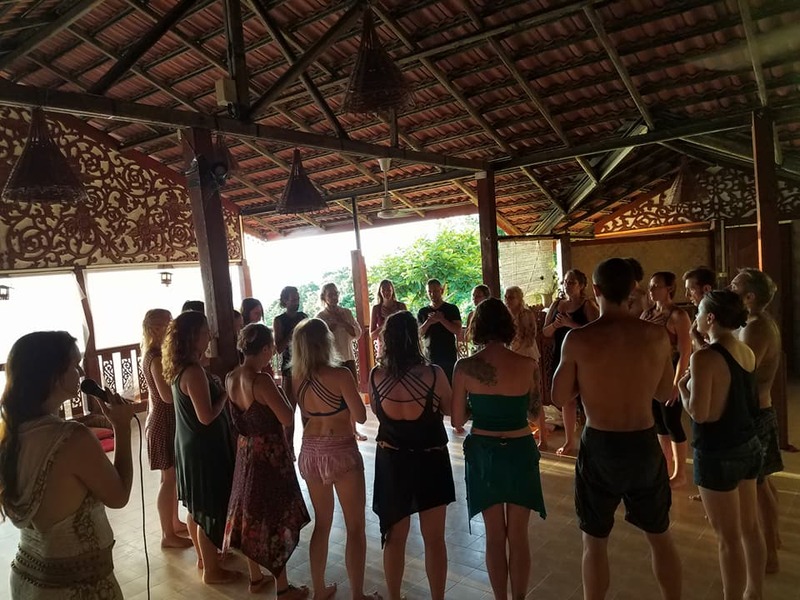 We will study specific techniques, as well as break apart ceremonies and rituals so you can see how things fit together in ease and take notice of what is often unseen in the class of a master facilitator.